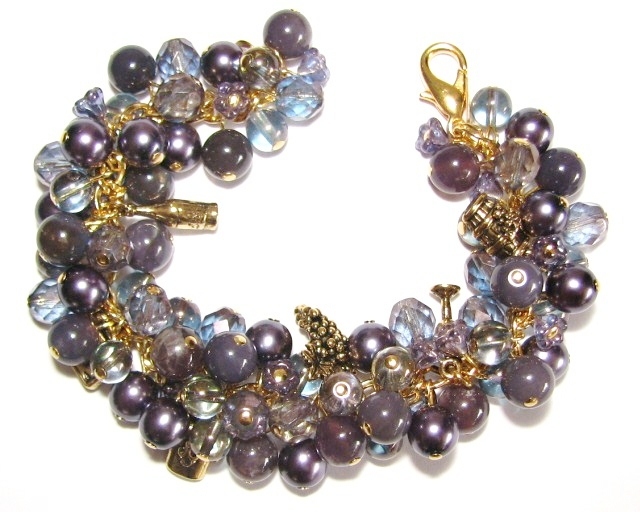 Heavily beaded wine charm bracelet with gold pewter (lead-free) wine-themed charms, purple gemstone beads, glass pearls, Czech glass round and faceted beads, gold plated chain and findings. Item shown is example, this item is custom made at time of order. Please allow approximately 2 weeks for delivery.